Neither Europeans, nor people around the world, can erase the memory of the thousands of people who lost their lives in the worst weather disaster to hit the region in centuries. 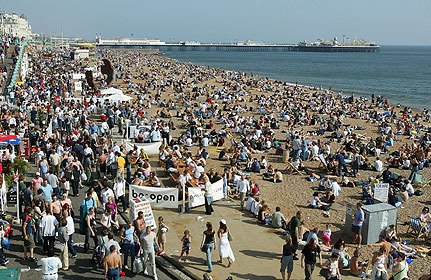 From France to the Netherlands, Britain to Belgium, the searing temperatures baked the ancient cities for weeks last summer through July and August 2003. Officials struggled to keep an accurate count of the dead. But a tally of government records estimate the death toll from between twenty to thirty-five thousand people -- the majority dying in the hottest period during the first two weeks in August. The death toll in France from August's blistering heat wave has reached nearly 15,000, according to a government-commissioned report released Thursday, surpassing a prior tally by more than 3,000. The toll exceeds the prior government count of 11,435, a figure that was based only on deaths in the first two weeks of the month. At least 35,000 people died as a result of the record heatwave that scorched Europe in August 2003, says an environmental think tank. The Earth Policy Institute (EPI), based in Washington DC, warns that such deaths are likely to increase, as "even more extreme weather events lie ahead". The EPI calculated the huge death toll from the eight western European countries with data available. 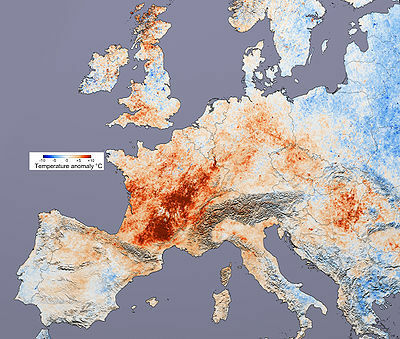 "Since reports are not yet available for all European countries, the total heat death toll for the continent is likely to be substantially larger," it says in a statement. 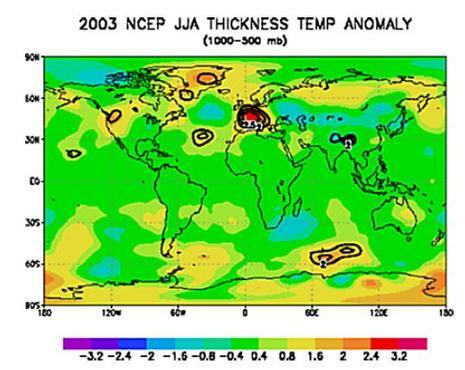 The 2003 European heat wave is one of the hottest summers on record in Europe, especially in France. The heat wave led to health crises in several countries and combined with drought to create a crop shortfall in Southern Europe. More than 30,000 Europeans died as a result of the heat wave.